Dhruwat Bhagat is an advisor to the technical staff at Opinion Junction (http://opinionjunction.com) and co-founding member of the Noida Linux User Group. Although a sceptic of government's online surveillance systems, he is passionate about technology and believes that it could be used for the betterment of the society. I am currently working on another tiny plugin. This one is called WordPress to MySpace and it is meant for WordPress. It allows you to update your Myspace status with the title of your latest WordPress blog post. I would say its in an early alpha stage. Please try it out and give me your suggestions on how I can improve it. I recently created a new Mozilla Addon called Reload All!. It allows you to reload all the tabs in a browser window (which Firefox now provides) and it has a selection tool that allows you to select the tabs you want to reload (which Firefox doesn’t have) . I made this addon to solve my problem with broken pages on starting Firefox. I like going back to what I was reading the last time I was on. Therefore I about always use Firefox’s “Session restore”. However, often I will run into a problem with this. Many times, my network will not be working fine, so web pages will not open. So I would have to reload every page individually as Firefox did not have, for a long time, a feature to reload all tabs. Yes there is Tab Mix Plus, but I did not want to add its too many other features. So after a long reluctance of many months, I decided to write my own Firefox addon to resolve this for me. It is now finally done and I am planning to make some changes to it. This includes adding customisable shortcut keys for reloading all tabs and for opening the selection tool. I’ll keep you posted on this! When my Ubuntu 1.86 GHz Core Duo box went down, I tried to ssh to it through my OpenSuse box. For this, I reinstalled the dhcp daemon, dhcpd to the latter. But now, I have another problem with this OpenSuse box. Ever since I reinstalled dhcpd on OpenSuse, everytime the networkmanager tried to get an ip address from dhcdbd – the dhcp DBUS daemon, it recieved a link local address. After going through the system log, I found out that the dhclient didn’t accept the command string used by dhcdbd to execute it. It just exited with the usage details everytime dhcdbd ran it at the request of the networkmanager to get the new ip address. Then I realised since dhclient also got reinstalled along with the dhcpd, this might have caused the problem. However now I needed to know what that command string was and needed some way to find that out. This is where Snoopy helped me. After installing it and digging through the system log, I found out that dhcdbd ran dhclient with -H parameter that is used to pass the domain name. Since the installed version of dhclient didn’t recognise this -H option, my networkmanager never got a new ip address. So it helped me resolve a part of the problem. Only a part of the problem since it seems the my version of dhclient takes network interface down on the -x option, which is also passed in the command string. It seems to me that this -x option does something with the dhclient scripts but I am not sure what. Online help on this seemed a little vague to me so if someone reads this blog and knows about this then please, please, comment about this. Linux landscape doesn’t seem to provide an out of the box facility that provides you the details of all the processes that have ever been run during the system uptime. Someone at ubuntu irc on freenode told me about Snoopy. It has a shared library that provides a wrapper about the execv and execve system calls and logs the details using syslog. These details include the process ID, session id, the execution arguements and the id and the name of the user who executed the process. This is achieved by appending its shared library’s path to /etc/ld.so.preload during the installation so its loaded before the libc objects when a process makes the execv/execve system call. This tool proved very nifty for me in debugging a problem I was having with dhcp on my linux box running SUSE 10.2. There have been no new updates to it in last 5 years. And it has a TODO list which includes finding out why logging the execve system call needs a workaround even though it internally calls execv. It also fails to run firefox which seems to have a problem with something between /etc/ld.so.preload and an audio related file in /proc. I’ll edit this blog with its details after finding more. And actually I would like it to support a few more features . 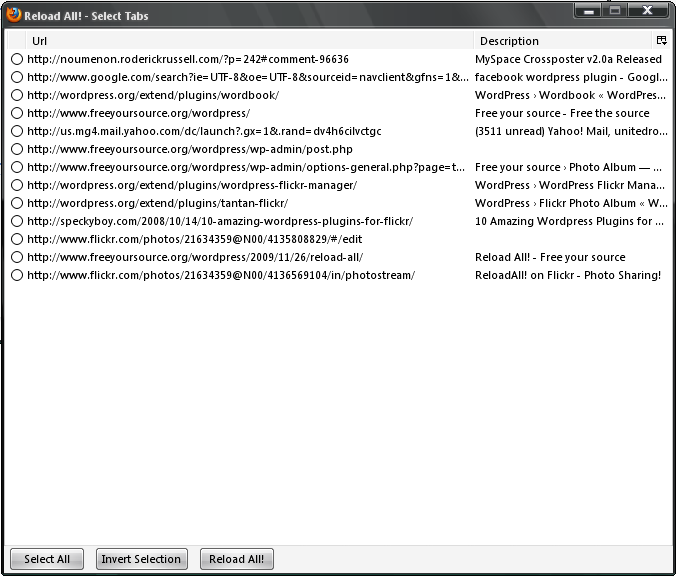 Such as a conf file with the options for what should be logged and to which file. The latter might mean using some other logging facility or adding one of its own to it, but I would find it very useful. For instance, I might want to see the snoopy logs for the past month by the day, letting me know if something odd ran on my computer. Syslog sometimes gets too cluttered with alot of noise for this. Also, I might want to add the the functionality to get snoopy details through a socket rather than a file, making it easier to get these details from a remote computer. But, I think there will be some features the snoopy can add which may or many not include the ones I mentioned above. I think we should pick up the thread and continue the work from where snoopy developers stopped. I think a proc file for the basic snoopy functionality might not be a very bad idea. As clumsy as the procfs is found by many Linux kernel maintainers these days and this treads on the policy-in-the-kernel issue, many people just find it very convenient to use. If you have used snoopy before, tell me if you think it should be developed furher or you think its just good enough as it is for what its meant for. If you haven’t and feel this would be useful for you, tell me about how you found/liked this tool. How about a Noida Linux User group? Noida is an IT hotspot in the North India, next only to Gurgaon, but we still don’t have a functional Linux group here. I think Noida would do very well with such an effort. A LUG would be a perfect way for people in the IT field to give something back to the community. We could learn so much from each other’s experiences. The Linux/Unix environment is so vast that probably even a linux admin by profession can not learn everything about it all on his own in one lifetime. We could share simple tips and workarounds and even new ideas and possible new projects. An LUG can also be a place to initiate interested newbies into Linux. Because even though the free software/OSS community has done alot to make Linux easy to use for the masses, some people are still scared of alot of things the end user Linux distros throw at you. People usually get accustomed to this if they dig around on the net or have someone to help, but many just give up way early. Like some times its impossible to do repair work when your installation goes horribly wrong unless you go to the command line which scares many. We could help many here if we make an effort. The people at Jaypee Institute of Technology had made this effort before, but its no longer functional. Even the URL(http://www.lug-jiit.tk) takes you to a junk search site these domain name providers put up when your domain name expires. I have seen this with the college organizations a few times, having been involved with some of them. They are started with alot of enthusiasm but gradually as the old people tend to leave, the enthusiasm fizzles out. But maybe this effort will would be more successful. Anyone who runs into this site online or anyone I know who I have forced to see it, get in touch so that we can plan something out. … got my five my copies, I won’t share them with anyone, but I can give you the Guns n’ Roses keychains I got along. This is a very special time for me. I am a die hard Gun n’ Roses ( read Axl Rose) fan. I have been been waiting for this album to come for past 6 six years. Right from the time I read about it on lostrose.com . This album was already the longest running joke in the world of music by then but I started waiting for it so eagerly like its coming the next month. This wait turned agonisingly long as the time went by. Something told me that it will come someday, but it sometimes seemed almost too incredible an idea that Axl will really ever drop it for his mortal believers. Now that latter part of seemed too incredible to one very close friend of mine. But this has been a long and hard journey for Axl and all his die hard fans. Especially for Axl, for he wanted it to be something that truely expressed how he wanted his music to be. Some think he took control of the band because he was egomaniacal and want to dictate terms to everyone in the semi-original lineup, but I think it was slightly different. We have all heard that he wanted Guns n’ Roses to be something that created the kind of music that he wanted to experiment with. And how it all went downhill after that. How his control freak nature pushed everyone to the corner and how it all led to the gradual break up of the lineup that gave us AFD and UYI’s. I just feel more than his wanted to assume total control, it was his desire that Guns try this different style of music that led him to become so difficult for the others to work with. I think he felt that he had a stake in the band which should allow him to take the band in this direction. I think he should have had a major say in what musical direction the band took. Surely not 50% or more, but more than any other individual in the band, including Slash. The other thing is that when the band started to unravel, he turned insecure. All his true success came with Guns n’ Roses. He just wasn’t sure about his identity as a popular musician without the band’s name backing it. What made it worse was that he never admitted to himself. This denial made thisinsecurity eat into him. And then as time passed, the pressure of the world’s reaction to “The most anticipated album ever” started eating into him. He could no longer go to the people and gauge the reaction to his style. For a negative reaction would seem catatrophic. So he kept on working on his music, trying to attain perfection. But one man’s perfection can contain a billion flaws in another man’s eyes. He probably never cared about what the average fan would think of this music, but his knowledge of the abstract of the previous line surely didn’t help the matters.